Boating in the Pantanal | Where to next? In a couple of weeks, Poor John and I head back to South America on another Oasis Overland truck trip. There will be lots of new adventures and a few repeats. We’re especially excited about revisiting the Pantanal. About six months of every year, the Pantanal is a vast alluvial plain—the rest of the time it’s a wetland. In the rainy season, which usually starts in November, up to 80 per cent of its huge area can be submerged. When I say huge, I mean ginormous. The Pantanal sprawls over an area estimated at up to 195,000 square kilometres (or 75,000 sq mi). 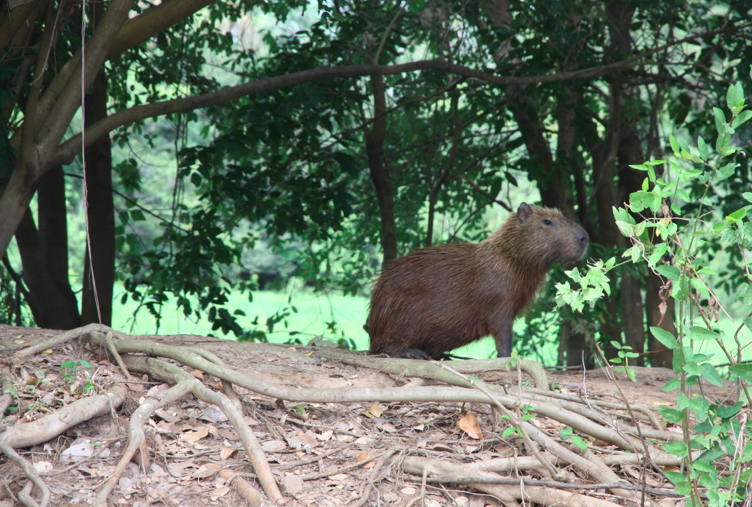 Most people think it is confined to Brazil, but the Pantanal’s waters actually spread into Bolivia and Paraguay. Waters can rise 4 to 5 metres and are at their highest in January and February. Structures are built to help people ‘live’ with the floods. Bridges stand 4–5 metres above waterholes and creeks, buildings and walkways rest on tall stilts, and rivers are populated with houseboats. The sheer size of this seasonal flooding means traditional farming is virtually impossible, but it’s perfect for creating rich feeding grounds that draw a diverse array of animals and birds. They, in turn, draw the tourists. We visited last year as part of our overland expedition. 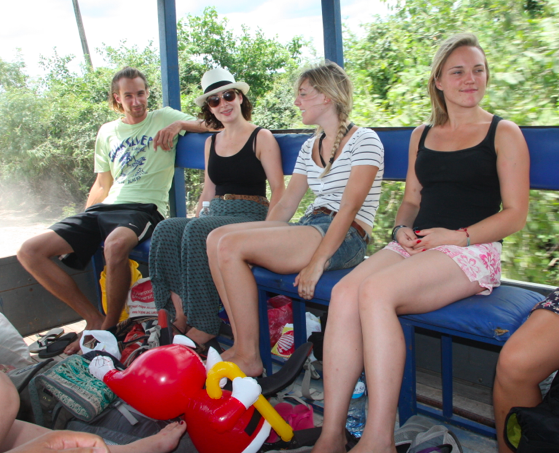 We ‘abandoned’ our truck and headed about an hour into the Pantanal for Christmas. For a few days, home would be the family-owned Pousada Santa Clara. I have to say, it really was the perfect place for the holidays. By rights it should have started raining in November, but it was still dry and parched, which meant we had plenty of opportunity to go horse riding, swimming, hiking and boating. Because there were about 16 of us, we were divided into two groups and took turns at the various activities. Our first outing, on the afternoon we arrived, was boating on the river. Our Santa Clara guide drove us about 45 minutes up the road to where a boat could be launched. Water levels were extremely low, which meant we couldn’t cruise very close to the river banks, but we still saw plenty of wildlife—at a distance. We’re hoping conditions will be near perfect when we are there again in July. That’s when bird-watching is supposed to be at it’s best and the chances of seeing a jaguar are improved. Given that the weather and landscapes vary different between December and July, I plan to do blogs on both. Here’s a look at some of the wildlife we saw last December. Sorry but I don’t know the names of all the birds. Tell me if you know, and I will add. I’m sure we’ll see them all again. 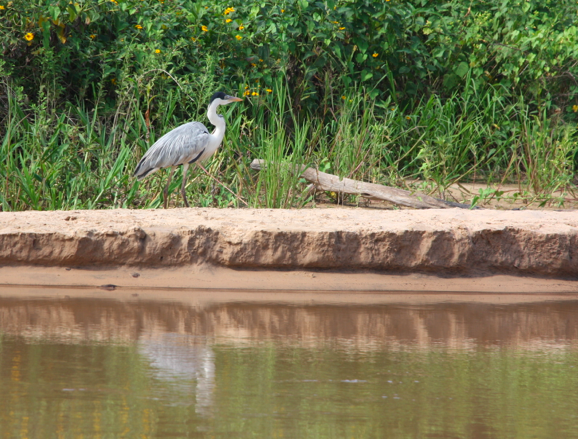 The Pantanal is considered the best bird-watching destination in the world. I have a new telephoto lens—let me loose. Stay tuned for entries on our Christmas-time ‘safaris’ (we rescued an anaconda), piranha fishing and the Santa Clara itself. Derrick, it will be great to meet in person. And yes, our blogs have different styles, which I think we agree is a good thing. Another look at Brazil’s amazing wetlands—the Pantanal | Where to next?